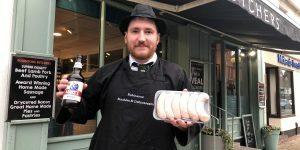 Master of the Worshipful Company of Butchers Graham Baker (right) enjoying the sausages with Master of the Worshipful Company of Farmers, Rosie Carne and Meat Management Editor Emily Ansell Elfer. 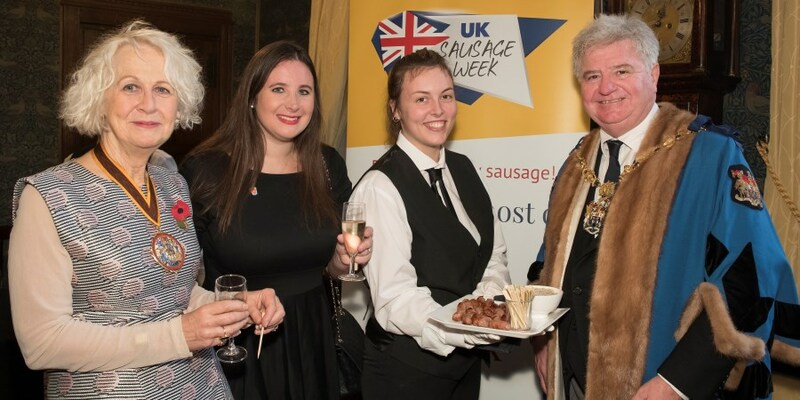 UK Sausage Week was celebrated by liverymen of The Worshipful Company of Butchers with sausage canapés yesterday (1st November) at Ironmongers Hall in the city of London. 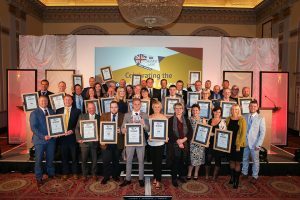 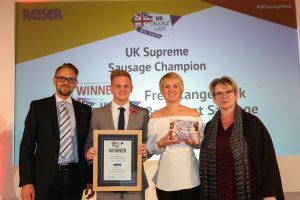 Frank Parker Butchers in Nuneaton supplied the sausages for the occasion, having been named UK Supreme Sausage Champion at the UK Sausage Week celebration lunch earlier this week. 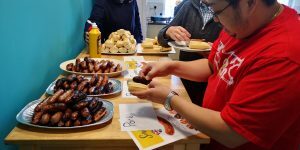 The family business’s winning banger was its Free Range Pork Breakfast Sausage. 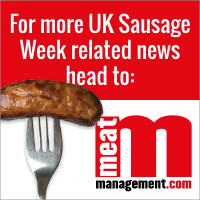 UK Sausage Week continues until 4th November, with further events and celebrations expected to take place over the coming weekend.